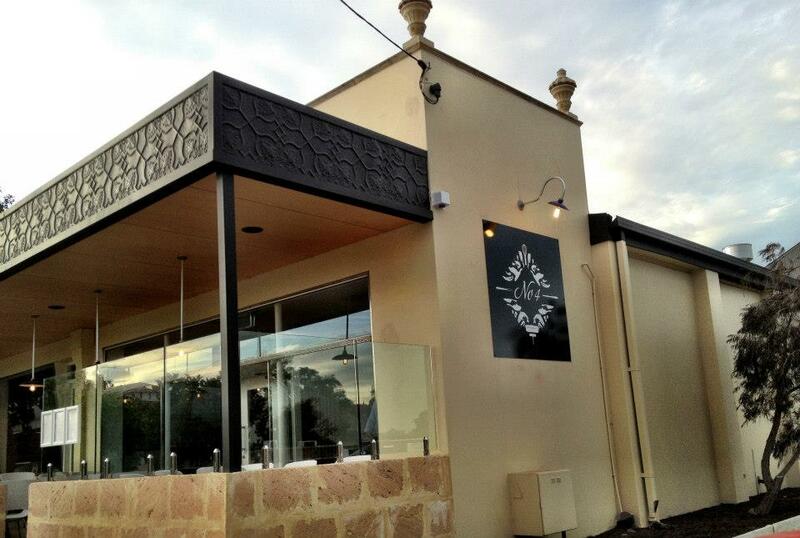 A very special part of having a food blog is the occasional invitation you receive to head along to a new restaurant. So lovely to think that someone wants you to sample their food and share your experience with others. 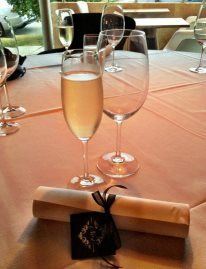 Such was the case when I received a dinner invitation to the recently opened No4 Blake Street, which is located, as the name suggests, at 4 Blake Street in North Perth. I had followed their page on Facebook prior to receiving the invitation, but I revisited the pictures posted on their page to get an appreciation for the type of restaurant they were. The few pictures I did see had me most excited about the culinary adventure that lay ahead! I arrived on Tuesday evening and was immediately pleased by the familiar faces that greeted me. Perth food bloggers are such a friendly bunch, so it was indeed lovely to get to say hello to Perth Food Engineers, The Food Pornographer and Perth Food Journal. There were also a few new faces, including Mr Scoop, from Scoop Magazine, who I had the chance to chat to over dinner. We were greeted by the friendly staff and offered a glass of bubbles to commence proceedings. Queue a massive faux paus by me as I was talking arty happy snaps of my menu and glass of bubbles and then proceeded to knock my glass over the whole table. Sigh….. can’t take me anywhere! They were incredibly lovely about it though and reset the table in a flash and refilled my glass. I made sure I kept a tight grip on it for the rest of the evening! 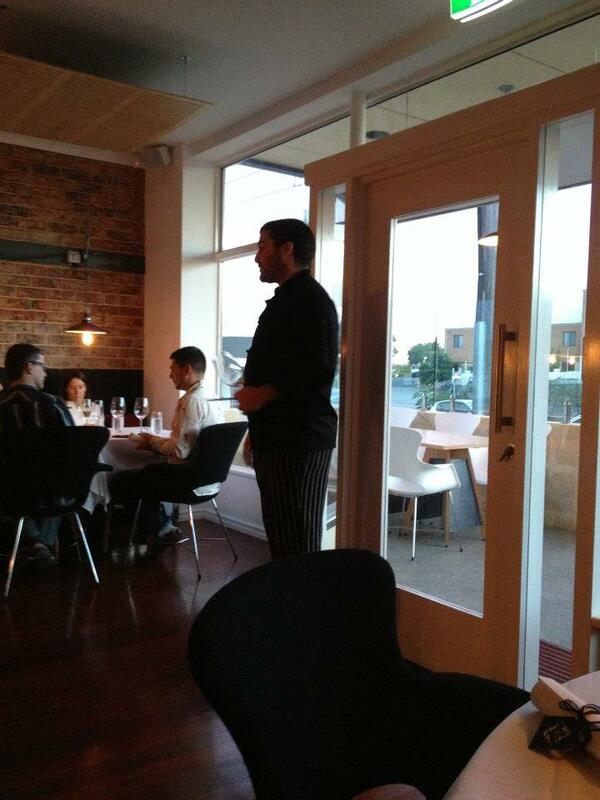 The chef emerged from the kitchen and introduced us to his new restaurant. This was when it hit me! Chef Tom was Tom Randolph from Tom’s Kitchen in Shafto Lane! 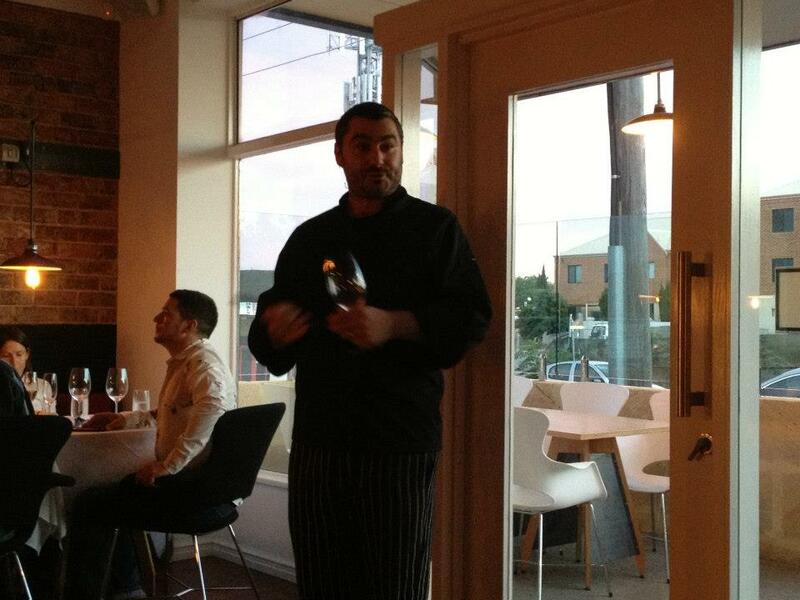 I had been to a wine night there last year and completely loved it, so if possible I was even more excited when I realised that Chef Tom was at the cooking helm! He explained how No4 Blake Street was more a café style experience for breakfast and lunch but come dinner time they were embracing all things fine dining, with the aim of bringing an element of theatre to proceedings. Adding perfectly to the theatre element were the plush draped curtains that covered the kitchen and where waiters would emerge with the plates – a touch of dramatic flair from the word go. Up first on the food front was a choice of white sourdough or olive bread, which came served with three types of butter – Pedro Sherry, Green Onion and Orange. The bread was delicious and is baked daily on site. The butters were the perfect indulgent softness and just full of flavour. Hard to pick a favourite, but I’d probably lean towards the Pedro. An Amuse Bouche soon followed and it was at this time that the culinary creativity of the kitchen crew came to the fore. Summer corn pannacotta, truffled popcorn, pickled shimeji, porcini foam, mushroom glass. It all looked so carefully prepared and the taste – my gosh the taste! The sweetness from the corn, the salty textural crunch from the popcorn, the rich mushroomy goodness – it was a heavenly combination and definitely sparkled the tastebuds to attention. 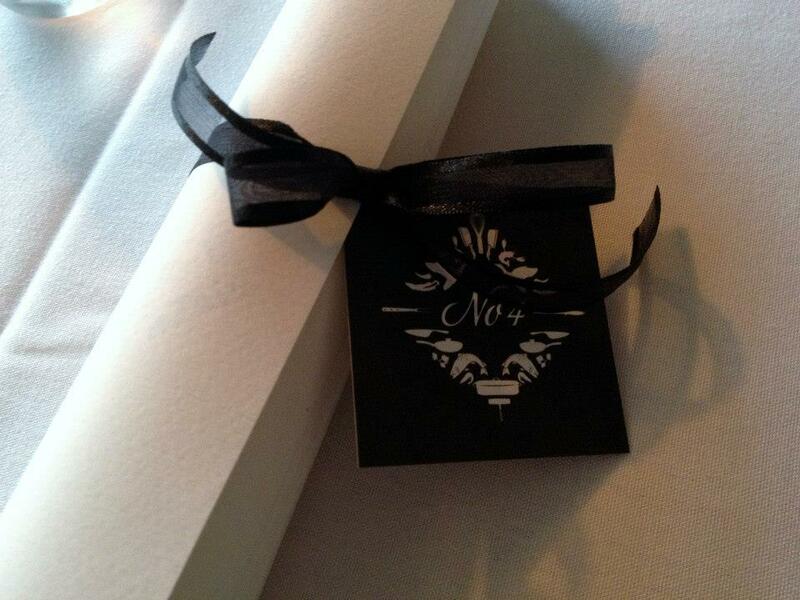 A great introduction to Chef Tom’s vision for No4. 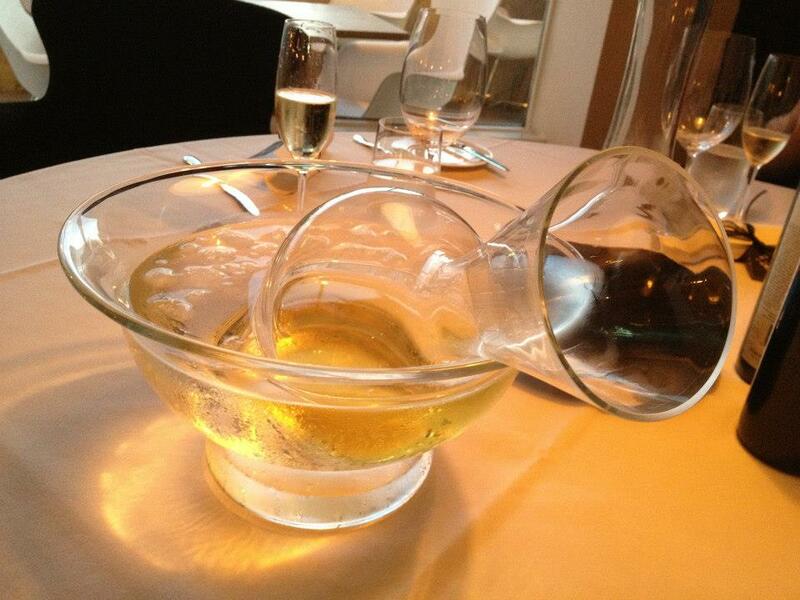 Resident sommelier, Romain offered us some white wine to accompany the next few courses. 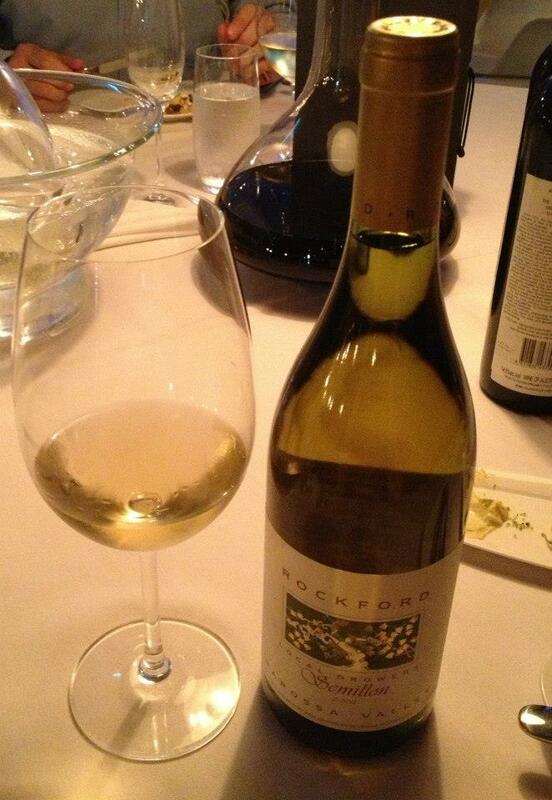 A delightful Rockford 2002 Semillion. It was a really interesting wine, where the depth of flavour gradually emerged. It proved to be a good match to the upcoming courses. For the next course, two dishes were on display. I was presented with Goat’s cheese ‘Gnocchi’, aromatic oils, baby herbs, borage blossom, tomato water while others on the table had the Rabbit parfait, belly presse, loan and kidney terrine, gingerbread tuille, pomegranate. Again a lot of praise on the presentation front. My gnocchi was just pretty as a picture with its smattering of microherbs and dainty flowers and again there were theatrics, with the tomato water poured into your bowl at the table with a flourish. I started with a spoon of the tomato water and it was so delicious. A beautiful balance of punchy flavour and delicateness. The attention then turned to the ‘Gnocchi’. It was much softer than I had anticipated and as I later found out was created using quite an involved process that did not call for any flour. 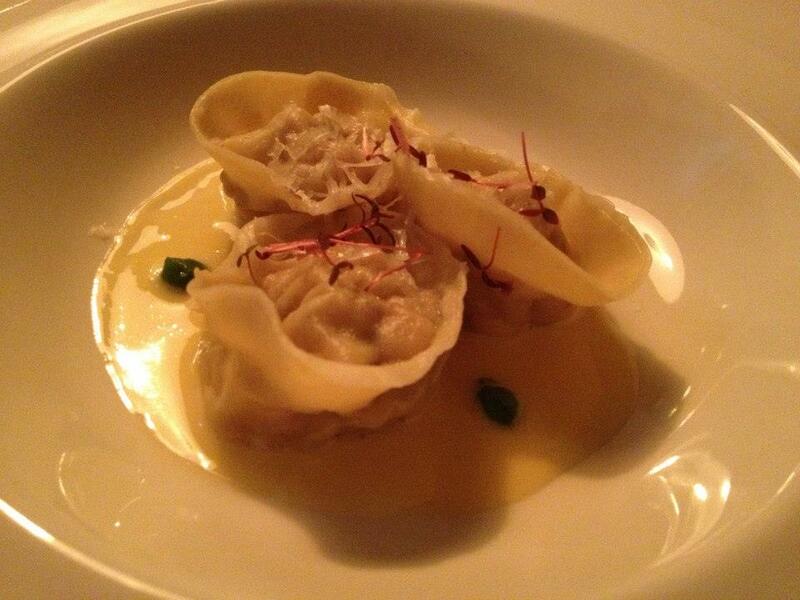 It was amazing, the goat cheese parcels just melted in your mouth and were enhanced further with the tomato broth. 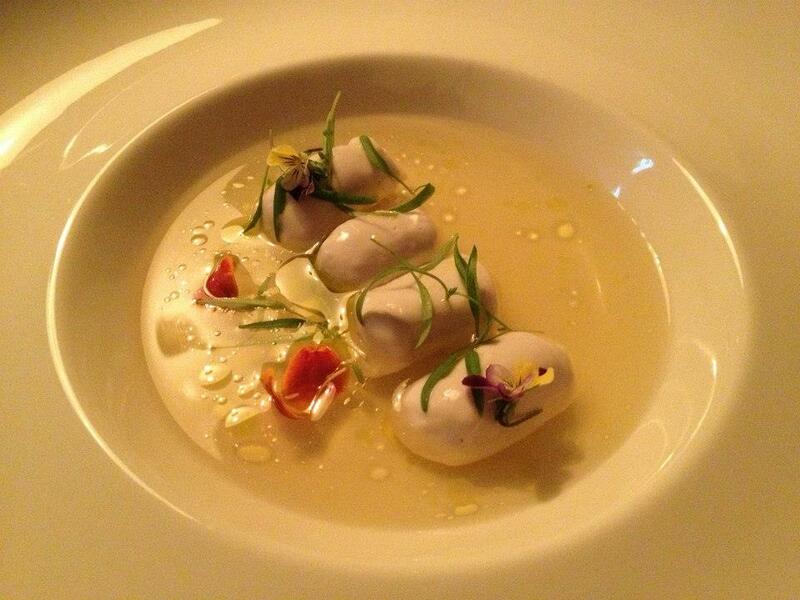 A seriously sensational dish, both visually and in the taste stakes. I can’t vouch for the other dish, but there was some high praise given to it, particularly the parfait. Up next came a course described only as Al dente. 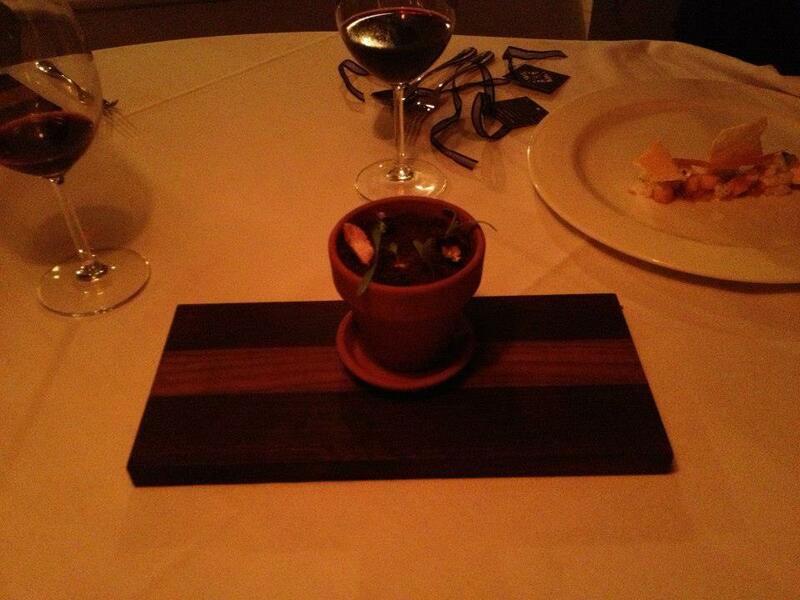 This was a pasta course that changed on a nightly basis. On this particular evening we were brought three pasta parcels containing orange and sweetbreads, in a champagne sauce and topped with grated parmesan. 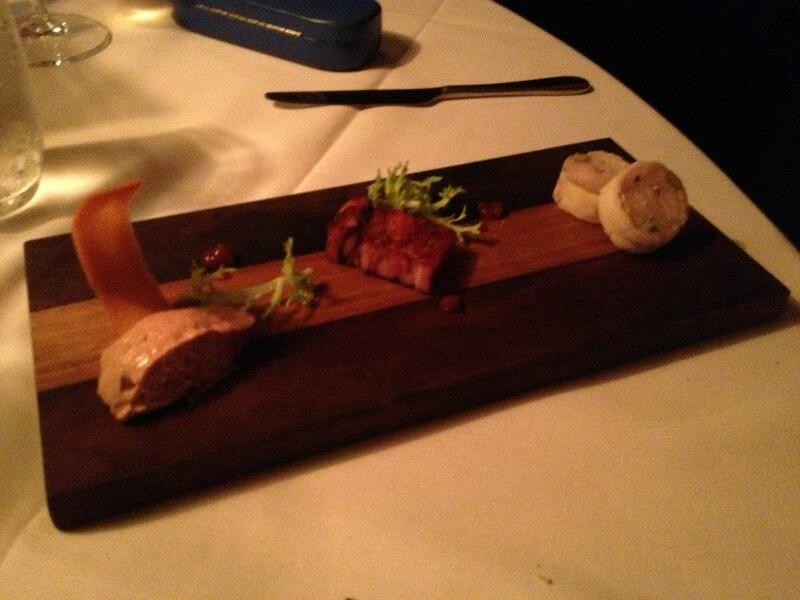 Hmmm… sweetbreads. Sweetbreads or ris are culinary names for the thymus (also called throat, gullet, or neck sweetbread) or the pancreas (also called heart, stomach, or belly sweetbread) especially of the calf (ris de veau) and lamb (ris d’agneau) (although beef and pork sweetbreads are also eaten). I’m not a massive offal fan, so was perhaps a little wary of this course, but I need not have been. It tasted divine! The pasta itself was perfect, that right balance of melt in your mouth chewiness to it and the filling was delicious. The sauce had just the right amount of sharpness to counter against the sweetness from the orange. My only disappointment with this course was that there was only three 😉 I suspect I could have polished off a whole bowlful! Granted though I would not have had room for much else 😉 It was great pasta. 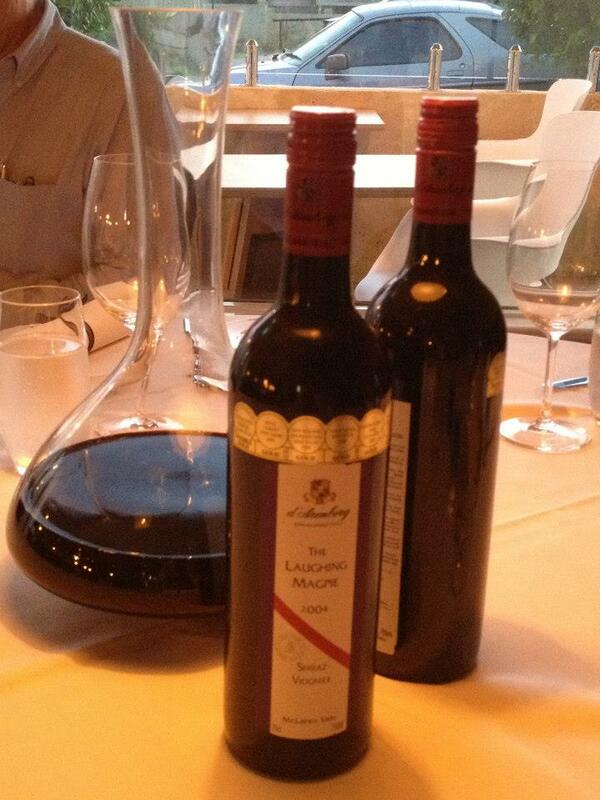 We switched across to red wine at this point with a delightful offering from D’Arenburg – Laughing Magpie. Mains came next and again an alternate drop of two dishes. 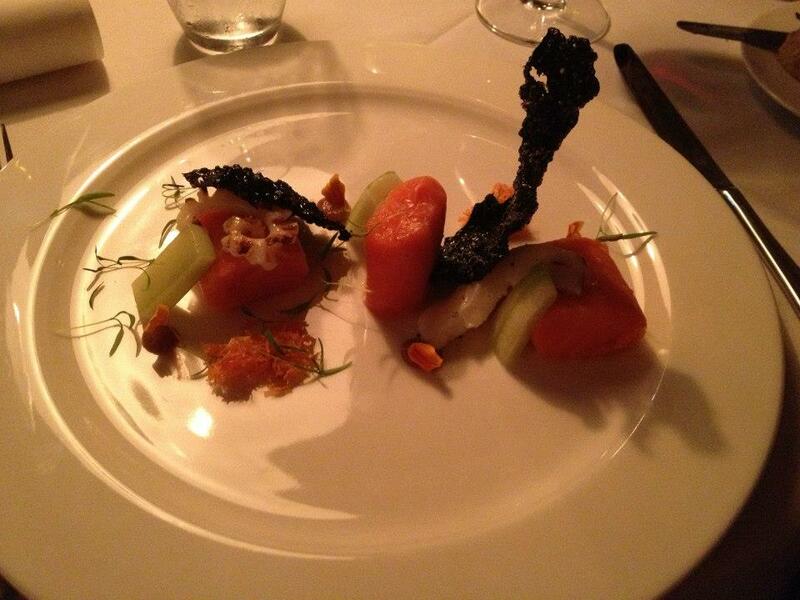 I was given Barely cooked ocean trout, ink rice cracker, miso, cuttlefish and compressed cucumber, while the other option was a Glazed pork, white eggplant caviar, mustard, cassis, eggplant crisp. Quite an impressive fish dish! 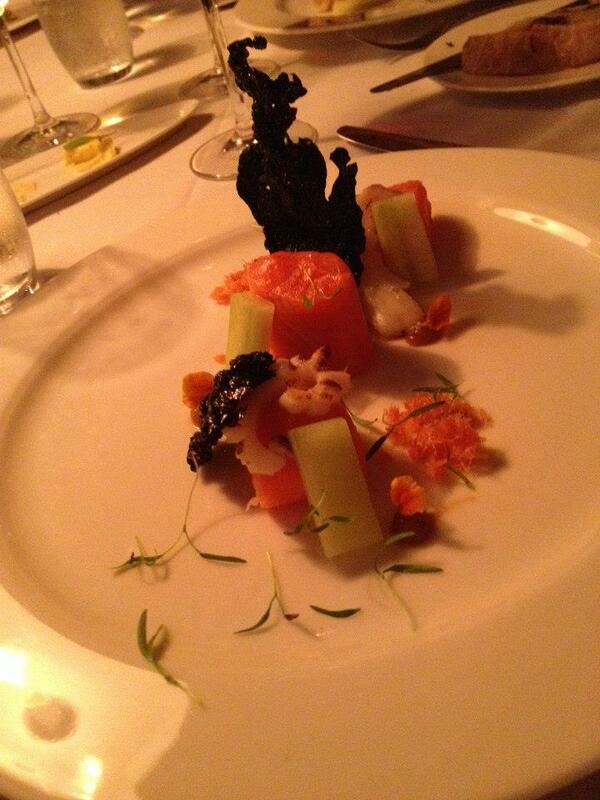 The bold orange of the trout, the decorative shard of squid ink cracker, the mellow green from the cucumber. Taste wise, it ain’t no secret that I do not like fishy fish. This was definitely not fishy fish. It just flaked away beautifully and had been cooked to barely cooked perfection. The squid ink cracker added a nice kick of salt, as well as a crunch, and the cucumber provided the dish with a refreshing finish. I enjoyed this dish. Given we were now 4 courses and a few glasses of vino in, the conversation was flowing around the table at this point and Mr Scoop and I decided to share part of our mains. So he sampled some of the trout while I got to try the pork, along with some of the mustard and egg plant crisp. I’m quite partial to some pork on my fork and this was a well cooked piece of meat. 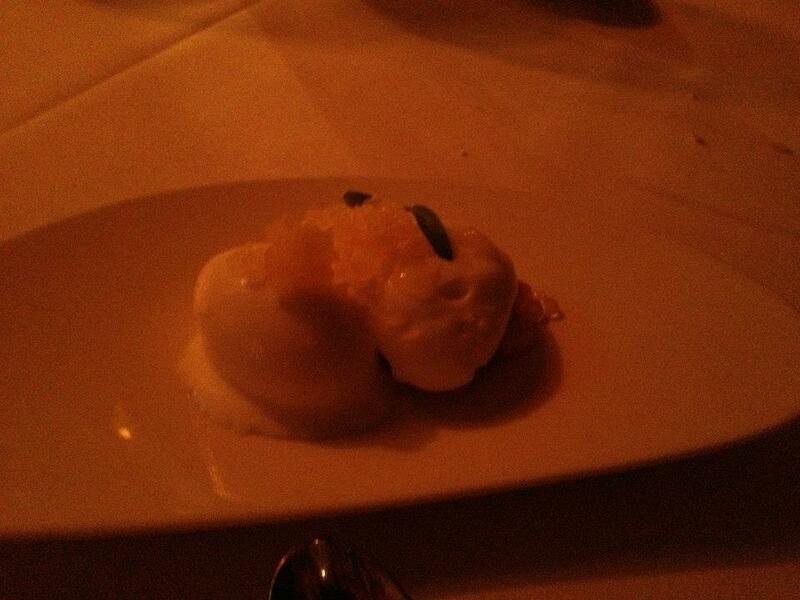 A palate cleanser arrived next to prepare us for sweeter treats to come. Coconut sorbet served with a coconut foam, coriander jelly, pearls of lime tapioca, pineapple granita and a bed of salted sesame and topped with pop rocks. Carefully prepared and fabulously refreshing, my palate felt suitably cleansed. 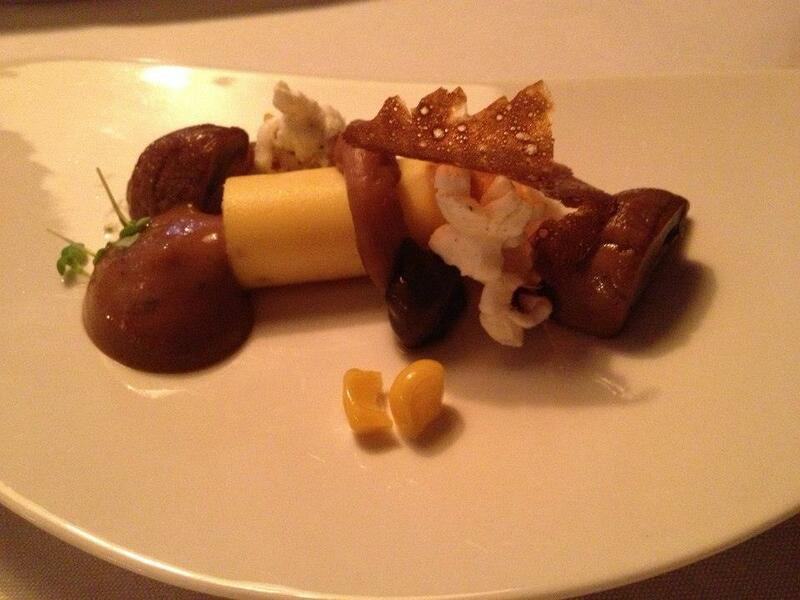 The dessert course again provided the chance to show off two of pastry chef Jo’s talents. I was presented with Textures of passionfruit: White basil ganache, mango, salted sesame, coconut sago, while others were suitably impressed when a small pot plant was placed in front of them Cherry and Chocolate Garden: Valhrona Chocolate mousse, salted peanut, dacquiose, cherry. Ok I’ll admit it was with a twinge of jealously that I watched others dig into their chocolate treat, listening to their satisfied oooos and ahhhs over such a creatively delicious dessert. It was my inner chocolate fiend I suppose and don’t get me wrong my passionfruit dessert was just as beautiful in its own right! 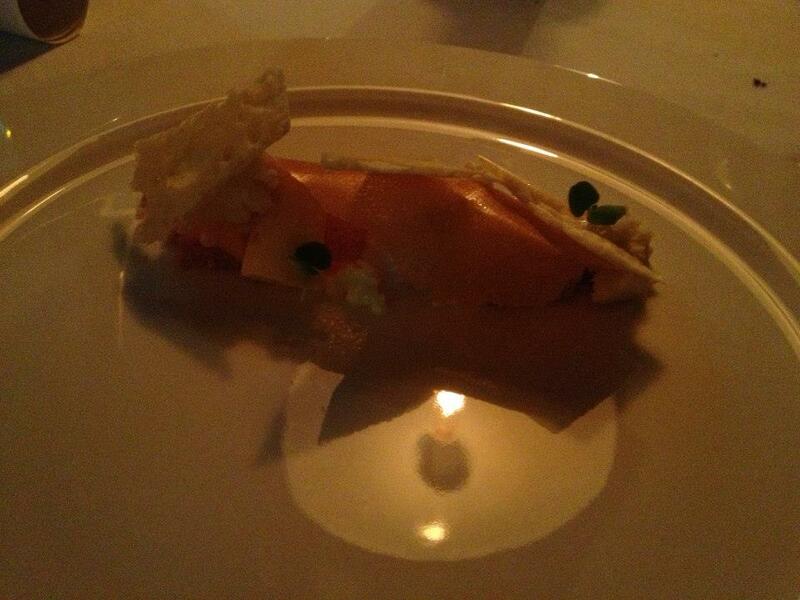 Fresh, tropical flavours, artfully prepared and there was an element of chocolate with the smooth ganache. I had a brief opporuntity to speak to Jo and thank her for creating such lovely desserts. Service had been incredibly lovely, Romain had taken expert care of the wine selections, Majdouline had done the rounds to see how everyone was finding things throughout the meals and answering any questions and Chef Tom had ensured he got around to speak to everyone also which was so nice! I had a wonderful time, sitting and chatting with like minded food fans while being treated to some incredible cuisine. 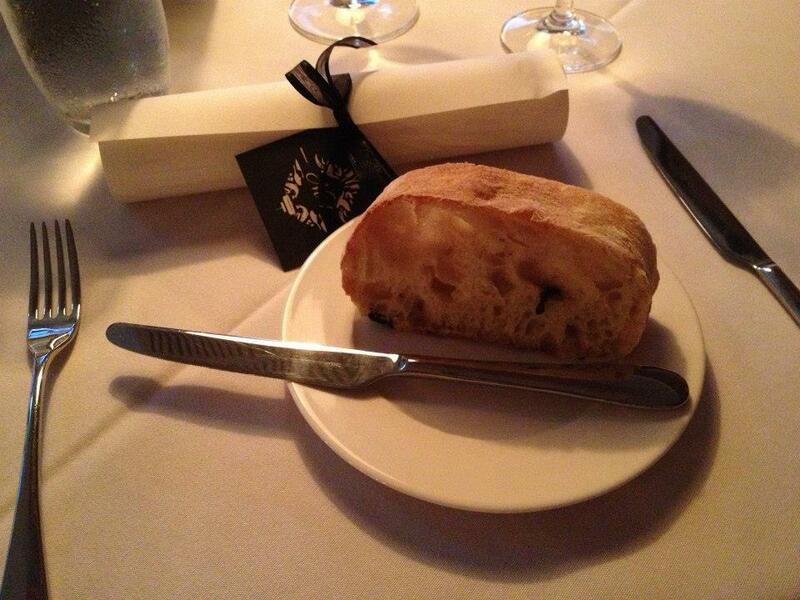 Night time service at No4 Blake Street is fine dining at its finest, so queue the red curtains – the show has begun! I can’t wait to go now! Great write up! I have been meaning to go and try their food. Thanks 🙂 it’s a really lovely spot. 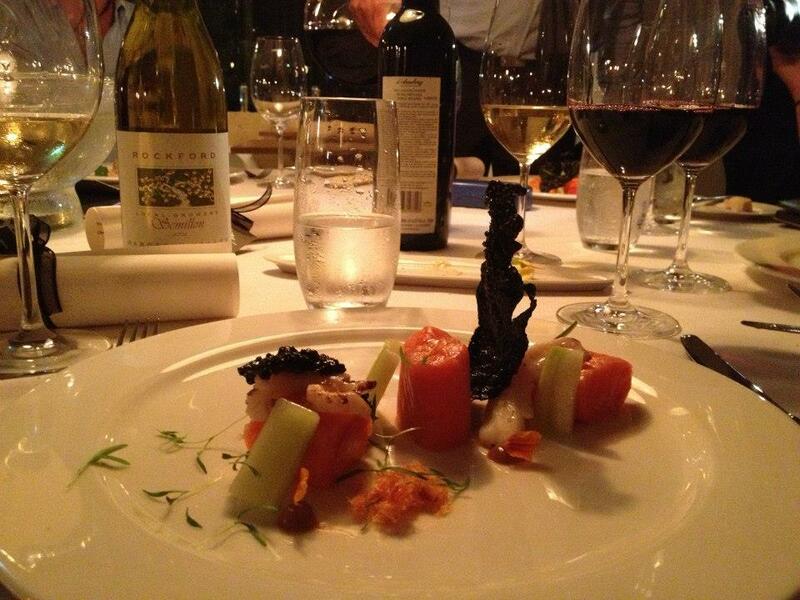 Beautiful food, very creative!